The overtures and preludes by Richard Wagner are not only masterly composed openings to his dramatic works – as independent pieces they are also among the most popular compositions of the 19th century. 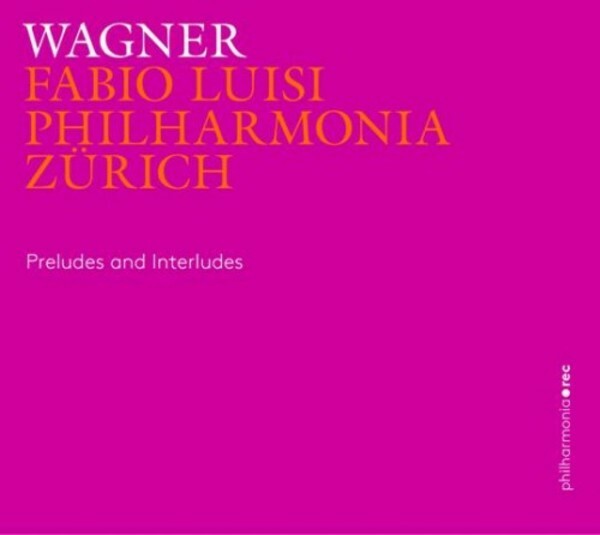 For the first studio recording of the new label Philharmonia Records, general music director of the Opernhaus Zürich and the Philharmonia Zürich, Fabio Luisi, made his personal selection: it leads from the early overtures to Die Feen and Das Liebesverbot, in which Wagner still was oriented towards paragons such as Berlioz or Meyerbeer, through masterpieces such as the preludes to Lohengrin and Die Meistersinger von Nürnberg and the famous 'Walkürenritt' up to the mystically transfigured prelude from Parsifal. The record offers a cross section through Richard Wagner’s orchestral work and presents one of the most distinguished European opera orchestras – the Philharmonia Zürich.